A burrito, or taco de harina, is a type of Mexican food. 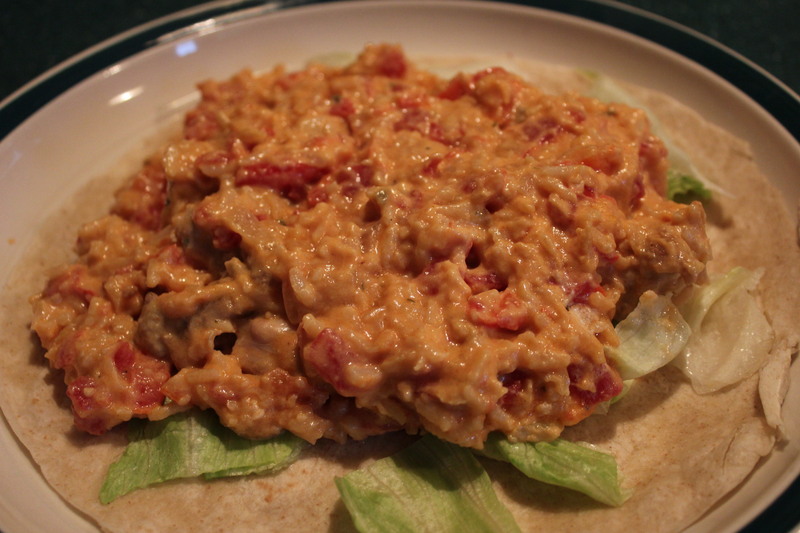 It consists of a tortilla wrapped or folded into a roughly cylindrical shape to completely enclose a filling. This is a great way to serve up a nice meat and rice dish. 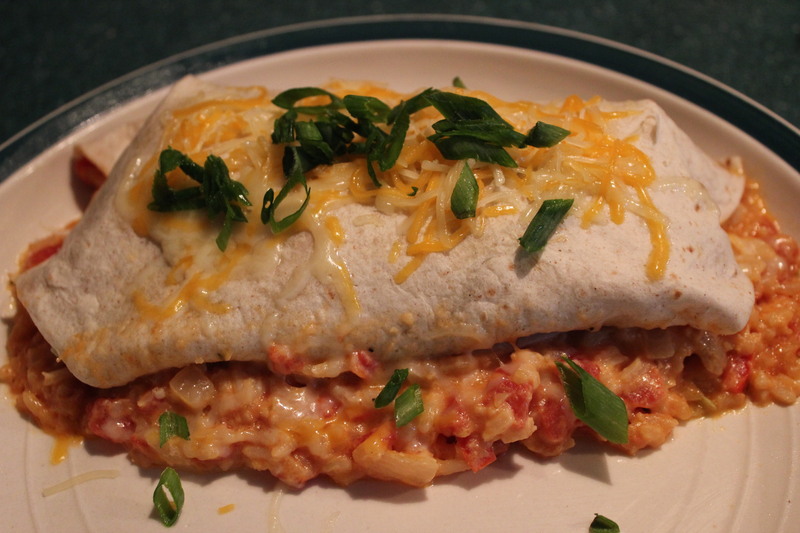 What’s so nice about serving a burrito is you can fill it with just about anything! 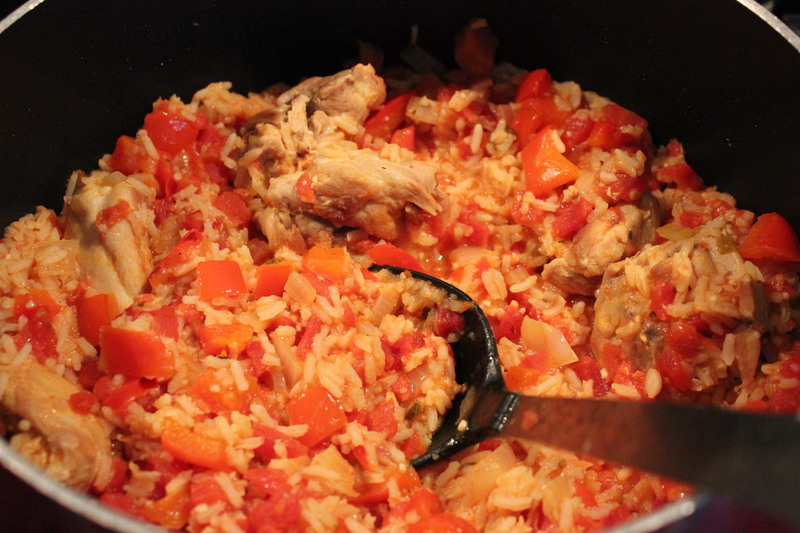 I really enjoyed this recipe; I can see where it can be changed up easily as well. Make your changes and see where it goes! Heat the oil in a large pan with high sides over medium high heat. 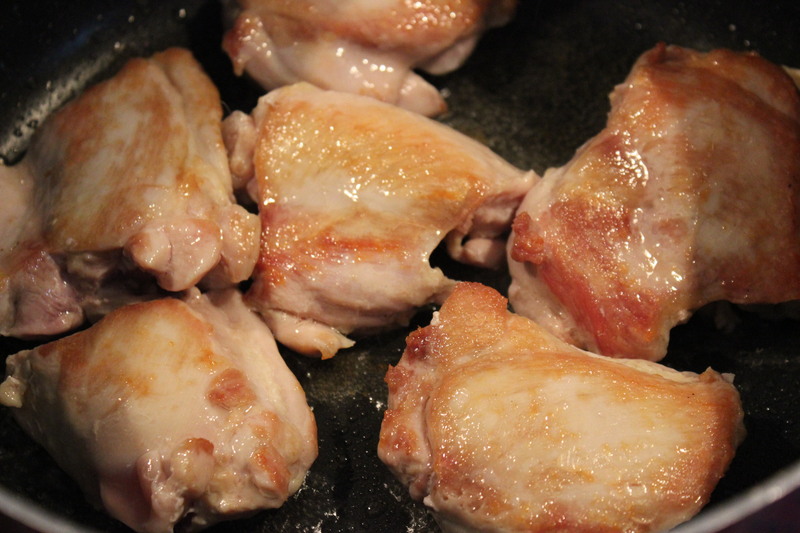 Place the chicken in the pan skin side down and allow it to brown on each side (around 5 minutes). Remove the thighs from the pan and set aside. Add the onions and peppers to the pan and sauté for 2-3 minutes before adding the garlic and rice. 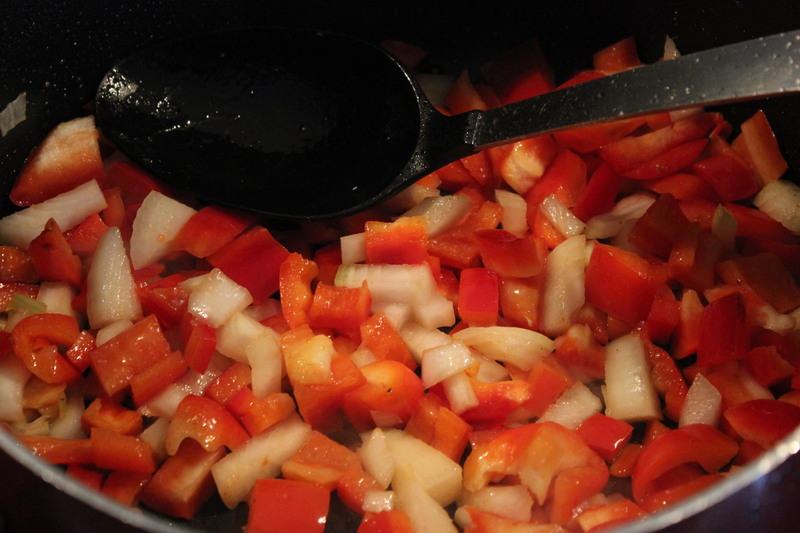 Reduce the heat to medium low and stir in the tomatoes, water, and olives. Return the chicken to the pan. 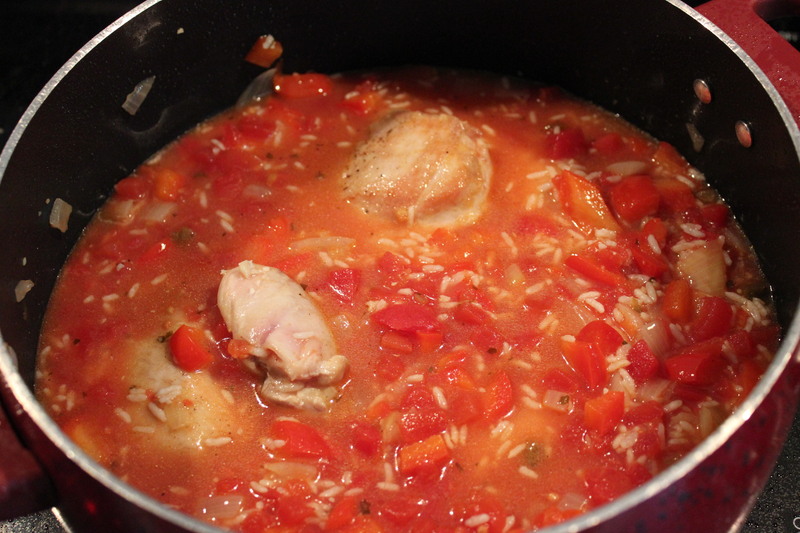 Cover and simmer for 18 minutes or until the rice is tender and the chicken is cooked through. At this point the chicken should be falling apart and easily made into smaller bits for the burritos. Place the tortillas between two wet paper towels and microwave for 90 seconds to make them more pliable. 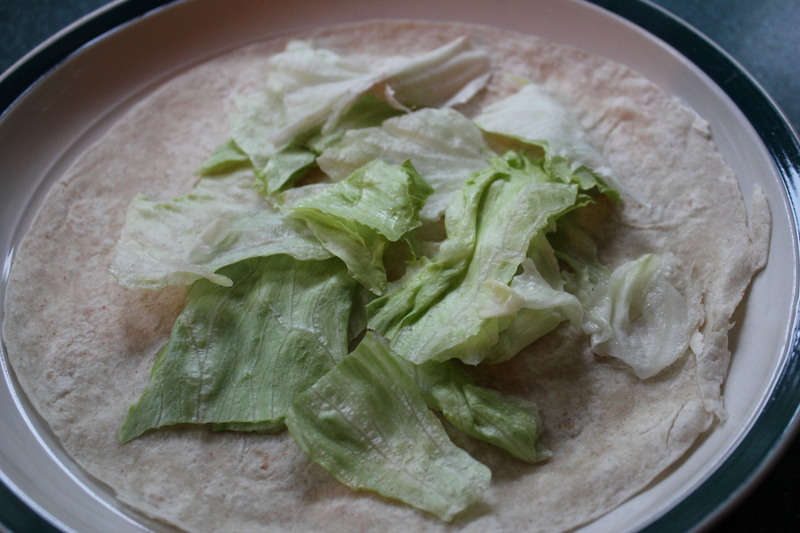 Place a tortilla on a plate and put a bit of shredded lettuce. 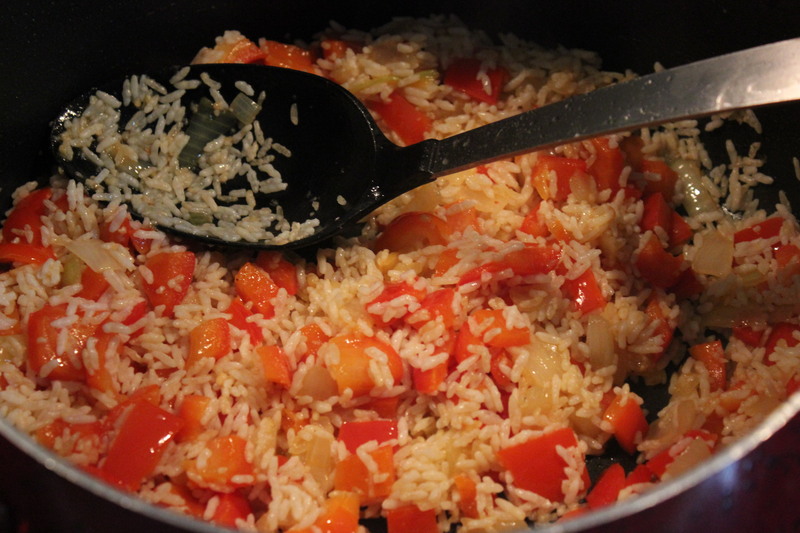 Add some of the rice mixture with a bit of cheese. Fold over and serve with some, sour cream, green onion, a bit cheese and olives. anything you would like on your creation! I allowed the rice to come out on the bottom, looks messy and was delish! As a side note I removed the skin from the chicken.